What is the price of Motorola Moto G5S ? Average price for a phone Motorola Moto G5S is 157.41 EUR. Motorola Moto G5S currently costs from 117.41 EUR to 188.24 EUR. Average price for a phone Motorola Moto G5S is 102.35 EUR. 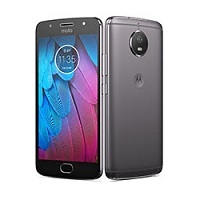 Motorola Moto G5S currently costs from 19.06 EUR to 145.65 EUR.